Siegel Oil is located at 13th Ave. and I-25. 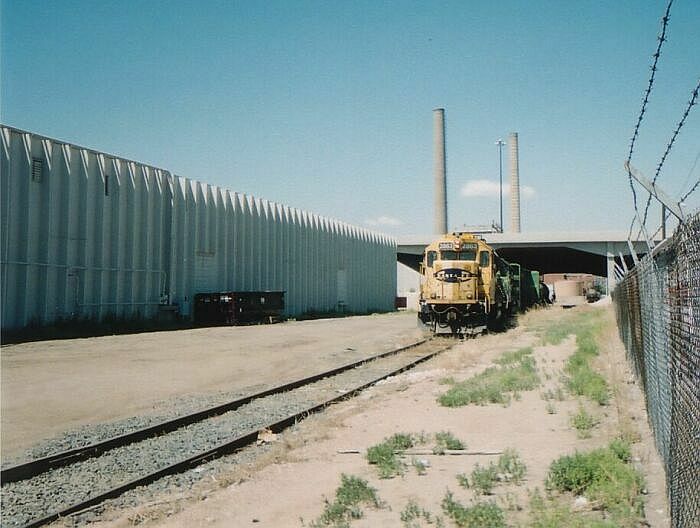 It is the end of a Colorado & Southern line that used to run west to Lakewood and the Federal Center. The line crossed the BNSF/UP shared trackage mainline at a 90 degree angle, serviced the Public Service power plant, crossed the Platte, and proceeded west. 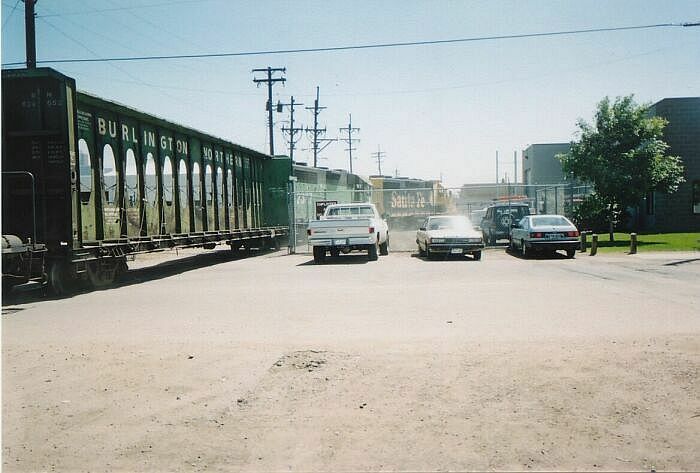 When the Auraria College campus was developed it disrupted access to the line. A turn out was added that passes through the backyard of a business and makes a sharp 90 to the west. 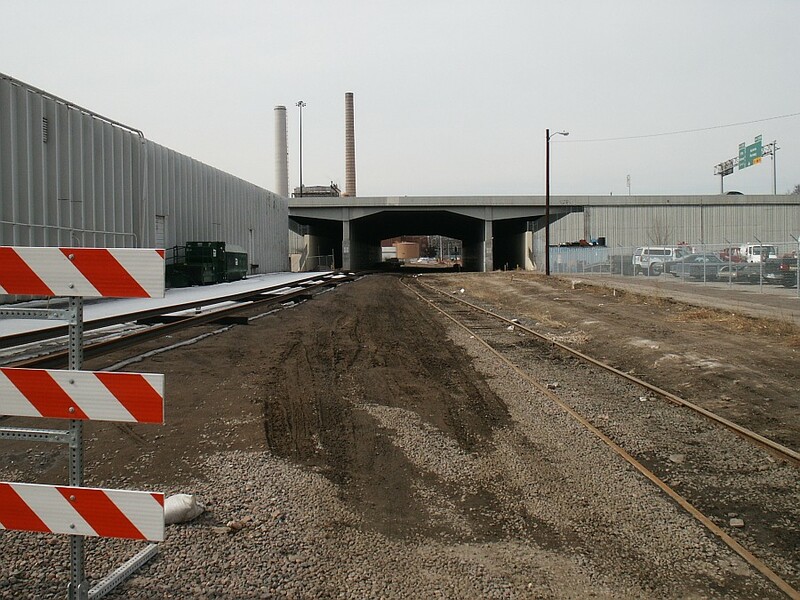 The former Colorado & Southern line used to proceed straight across the mainline. Now it makes a hard right to join the mainlin. Heading west to Siegel Oil Co.
Retrieving cars from Siegel Oil. The former coal fired plant (now natural gas) is in the distance on the other side of I-25. Work is being done to prepare for fastrax progress.